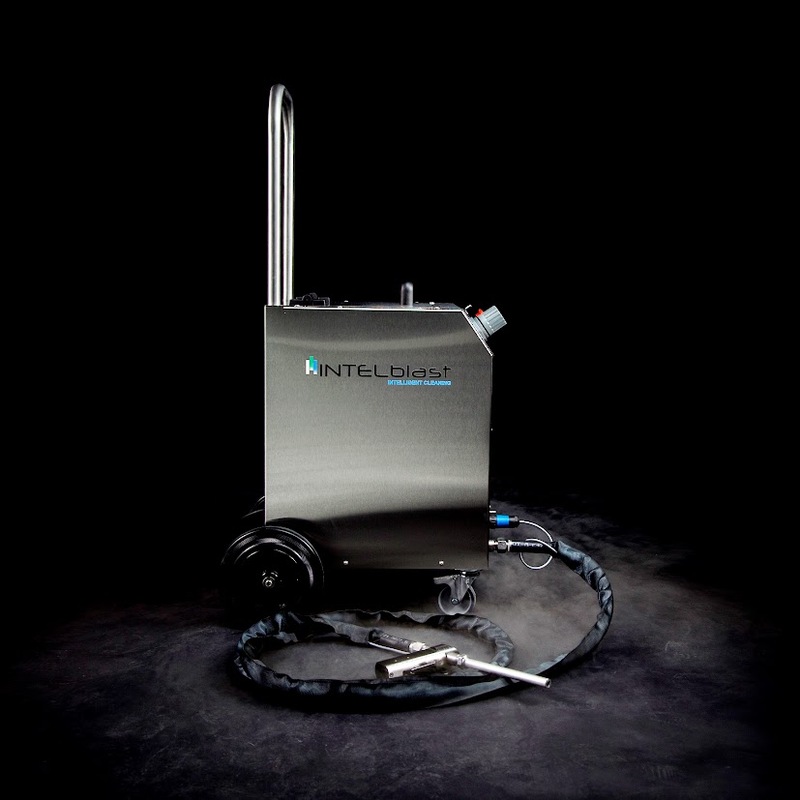 The IBL Mini is the ideal choice for those companies, who would like to have the opportunity to clean small parts and surfaces, without having the usual constraint for a high air flow compres¬sor. 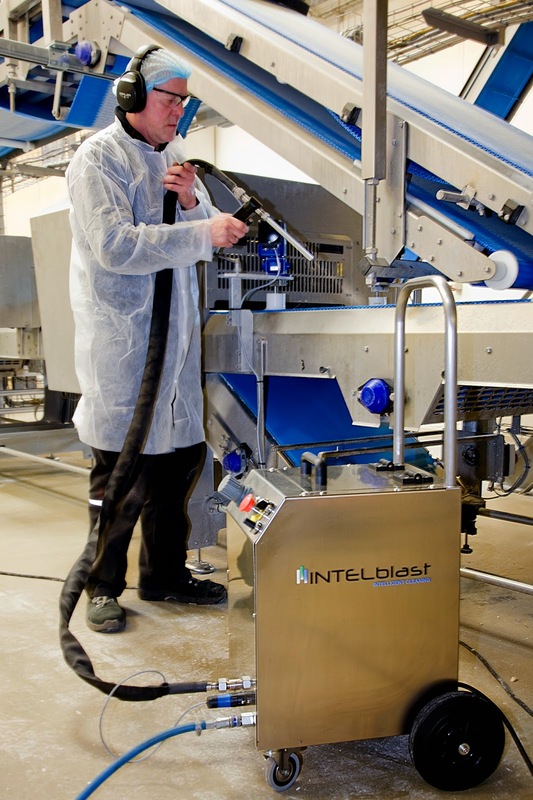 Daily maintenance on processing equip¬ment and electronics or the occasional cleaning of parts is easily carried out with the IBLmini. One of the most important benefits of the IBL Mini (besides it’s price) is that it is designed to function using plant air supply. 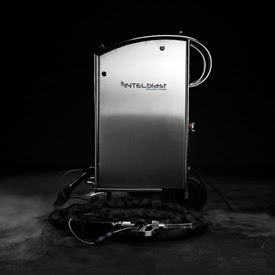 Most factories only have compressors that generate 7 bar and an air volume of 500 to 3000 liter/min available which for most cleaning jobs with the IBLmini should be sufficient to achieve the desired result. 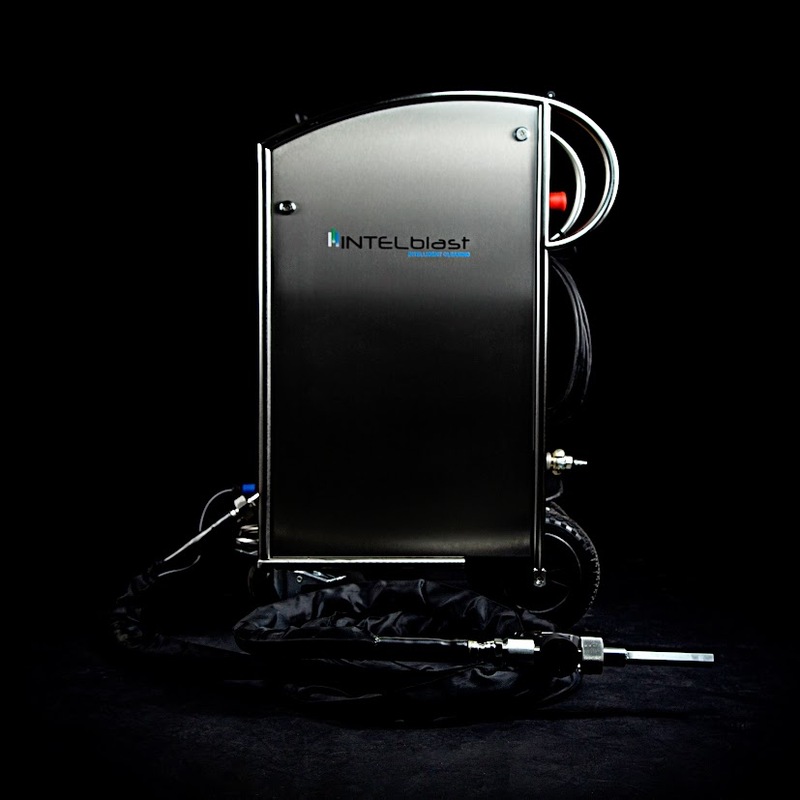 Being able to dry ice blast in an area where other people are working can be done with an IBLmini. Operating at sound levels as low as 75 dB makes it possible to work even without hearing protection. The standard 3 and 5 mm flat aluminum nozzles are ma¬chined for low air flow and together with the lightweight 3 meter ½ inch blast hose, the operator has an easy to han¬dle set-up. 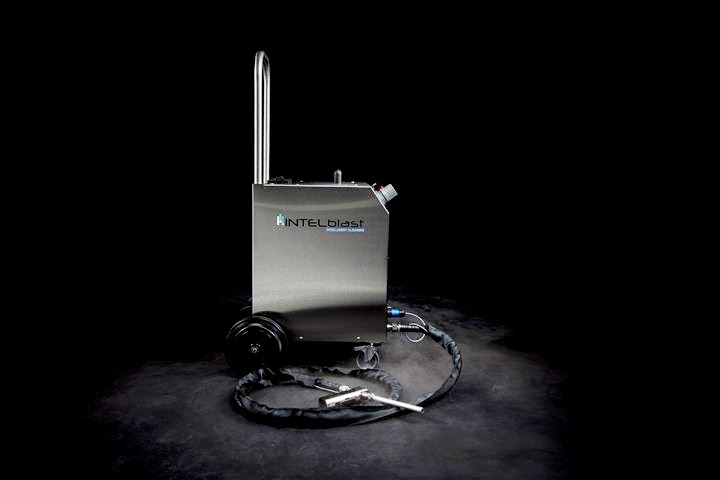 To achieve the optimum cleaning performance for air consumption under 1000 L/min, then the flat 3 mm nozzle should be used and the dry ice pellet size should be 2,2 mm or smaller. If using the 3 mm industry standard dry ice pellets then the 5 mm flat nozzle should be used. 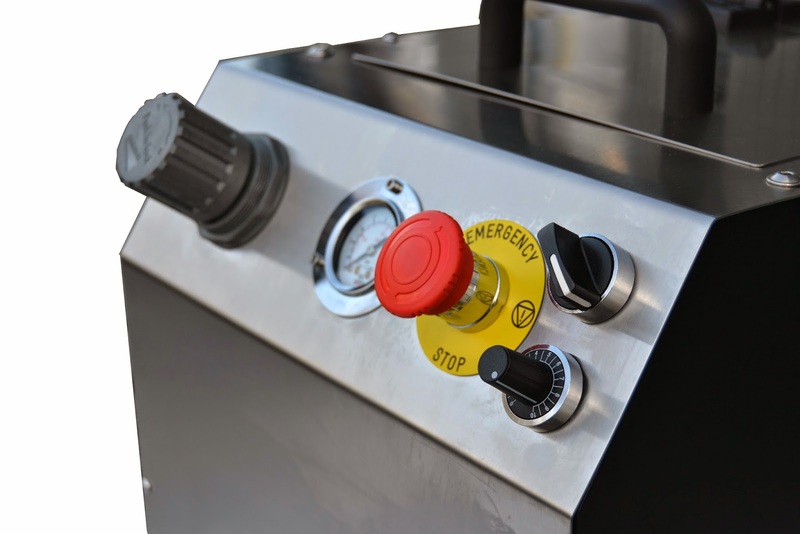 Dry ice consumption can be regulated from 10 to 30 kgs/hour and the blast pressure can be adjusted between 2 to 12 bar. Weighing only 29 kgs and dimensions of 550x480x895 mm the machine can easily be lifted into a car or stored on a shelf. Equipped with wheels and holder for the blast hose, rolling it to the point of use is an effortless task.